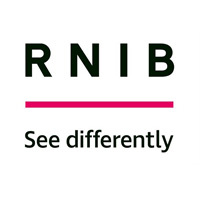 RNIB are producing the 12 £1 World Book Day (WBD) titles in audio and braille formats. Between February 28th and March 31st we will be giving away a FREE World Book Day title to every child in the UK with a print disability who requests one. Each child with a print disability (inability to read standard print) can select the title they want from the list of 12 and the format (DAISY CD or braille) they would like the book in. They will then get a book of their very own to keep and enjoy.